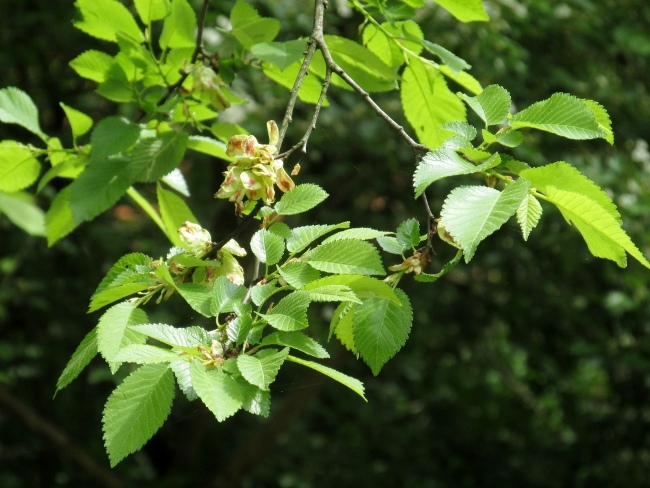 The leaves of Ulmus minor are variable in shape, but are typically quite strongly asymmetrical at the base. 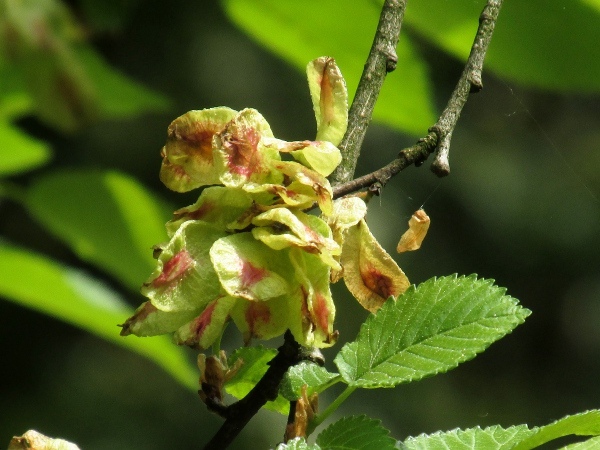 The fruit of elms is a flat, rounded samara with a single seed in the centre. 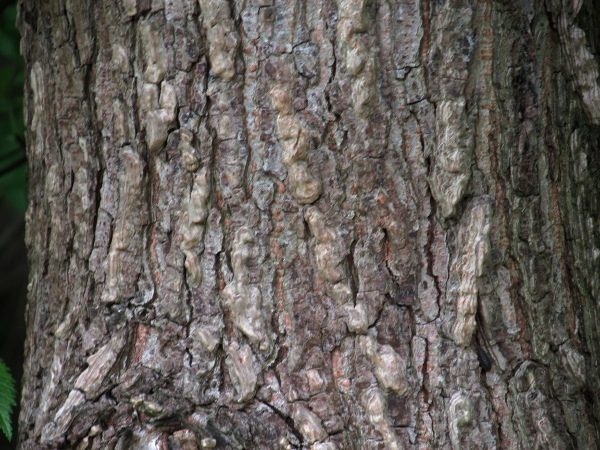 The bark of Ulmus minor has corky ridges. 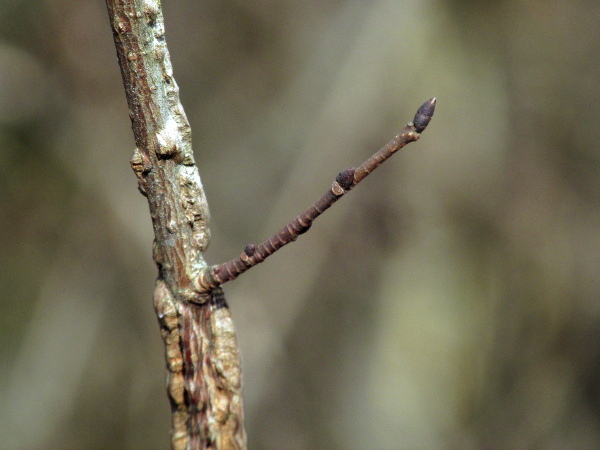 The corky ridges start to appear on twigs in their second year; the buds are small and dark.